Seven inmates were killed and at least 17 others seriously injured as inmates were left to fight for more than seven hours before authorities regained control of a maximum-security prison. COLUMBIA, S.C. (AP) — Seven inmates were killed and at least 17 others seriously injured as inmates were left to fight for more than seven hours before authorities regained control of a maximum-security prison. South Carolina prisons spokesman Jeff Taillon announced the grim outcome after State Law Enforcement Division agents helped secure Lee Correctional Institution around 3 a.m. Monday. It's the latest violence in a system where 12 inmates were killed by other prisoners last year and 250 prisoners were assaulted so severely in 2016 and 2017 they had to be treated in outside hospitals, according to public records obtained by a Charleston newspaper columnist. At the Bishopville prison where the seven were killed, one inmate held a guard hostage for 90 minutes in March and another killed a fellow prisoner in February. Taillon said no officers were wounded after multiple inmate fights broke out at 7:15 p.m. Sunday. He said 17 inmates required medical attention outside the prison. Most of the slain inmates were stabbed or slashed, while the remainder appeared to have been beaten, Lee County Coroner Larry Logan told The Associated Press on Monday. "How else are you going to die in prison? They don't have guns," Logan said by phone as he went to a Florence hospital to finish identifying the dead. Autopsies should confirm their causes of death, and their names won't be released until their families are notified, Logan said. The South Carolina Department of Corrections tweeted that the deaths happened as in multiple inmate-on-inmate altercations in three housing units. Lee County Fire/Rescue said ambulances from multiple jurisdictions lined up outside to tend to the wounded. The local coroner's office also responded. The coroner said when he arrived it was a chaotic scene of fighting everywhere. Logan said Lee Correctional Institution, like most other South Carolina prisons, is struggling to find enough workers, but he doesn't believe anything could be done once things got that far out of control. 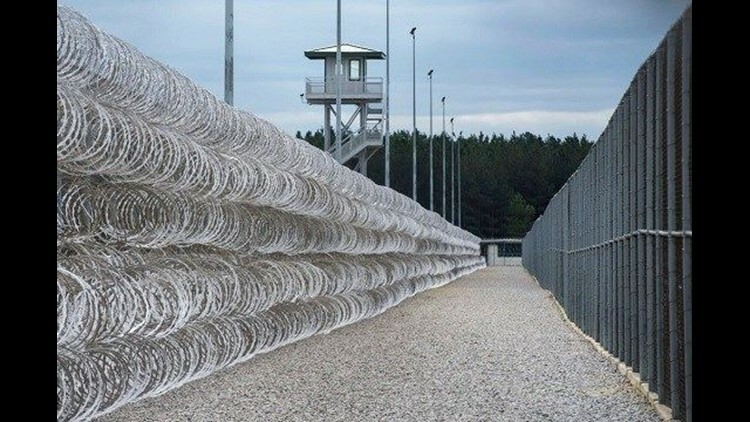 The maximum-security facility in Bishopville houses about 1,500 inmates, some of South Carolina's most violent and longest-serving offenders. Two officers were stabbed there in a 2015 fight. These deaths at Lee are the most in any South Carolina prison in recent years. Four inmates were killed by a pair of prisoners in the state's Kirkland Correctional Institution last year. Twelve inmates were killed by other prisoners in South Carolina in 2017, according to public documents obtained through a Freedom of Information Act request filed by Steve Bailey, who writes columns for The Post and Courier of Charleston.